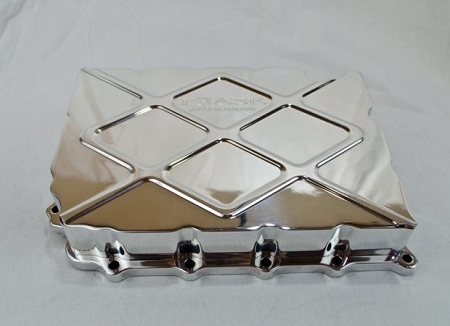 Precision CNC Machined from solid billet 6061-T6 Aluminum. Pan rail is 5/8” thick and gusseted in all areas. 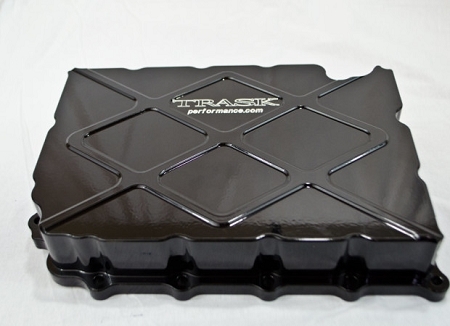 When installed this pan is designed to not allow the crankcase area to flex or move. 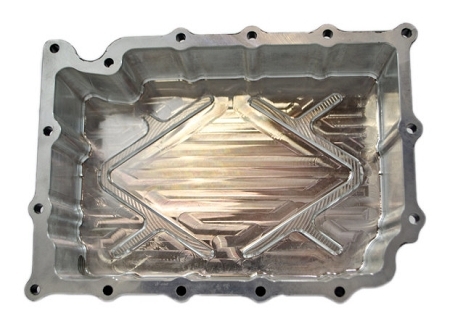 Extremely rigid, from computer analysis and testing this pan is 4x stronger than the cast factory oil pan. 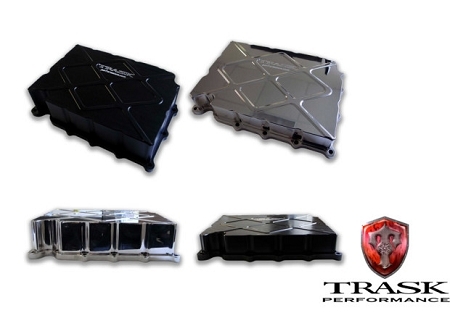 They come in two sizes: standard depth; and our deep + pan (Overall size is 5 quarts) lowering the oil level and in turn reducing parasitic drag on the crankshaft resulting in more power. Trask recommends our extended billet dipstick for accurate oil reading on deep + pans. 550 points will be rewarded to you when you buy this item.